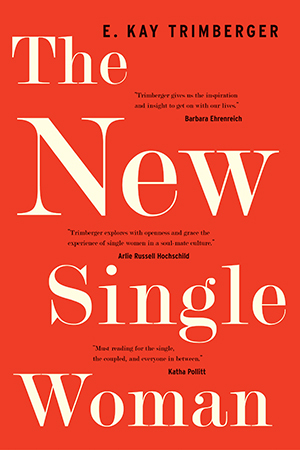 Drawing on stories from diverse women who have been single for many years, Trimberger explodes the idea that fulfillment comes only through coupling with a soulmate. Instead she presents an exciting new identity for women in the twenty-first century: the new single woman--a woman who is content with her single life. These gripping personal accounts of how single women’s lives evolve over time, combined with Trimberger’s incisive analysis, blend to provide a much-needed cultural roadmap for every single woman who is striving to create a satisfying and meaningful life. Trimberger’s all-inclusive, paradigm-shifting notion is one that ultimately strengthens and enriches both single women and couples. "Trimberger's…sample size and longitudinal research design permit unparalleled in-depth access to the unfolding of a new identity."